Historian Nancy Carol Carter tells us about the early history of Balboa Park. With Balboa Park’s centennial celebration next year, her timely presentation will cover the background and development of this jewel of our city. When San Diego farsightedly set aside 1,400 acres of pueblo land for a park in 1868, the city did not establish a park commission, earmark funding, create a plan of park development or hire a single gardener. Lack of development nearly doomed the very existence of “City Park” in the early years. With real estate speculators greedily circling the park, interventions by concerned citizens including Kate O. Sessions, George Marston, and Julius Wangenheim led to the earliest planting and recreational development within the park. 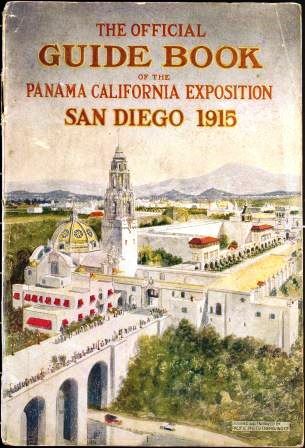 Despite early efforts, it was not until the Panama-California Exposition of 1915 that Balboa Park came into its own as a public landscape. Along the way, Exposition builders rejected early planning visions for the park created by two nationally famous landscape architects, Samuel Parsons, Jr. and John Charles Olmstead. Rather, the Exposition went its own way, popularizing a landscape style that remained influential throughout Southern California for most of the next century and setting Balboa Park on a path that permanently effected its development. Historian Nancy Carol Carter focuses her research on horticulture in the San Diego region. She has published in Pacific Horticulture, California Garden, Eden, and the Journal of San Diego History on such topics as Balboa Park, Kate Olivia Sessions and other influential horticulturists, the San Diego olive industry and Border Field State Park. Carter is a frequent speaker for various community groups and regularly lectures at SDSU's Osher Institute. She is the retired Director of the Legal Research Center and Professor of Law at the University of San Diego and now an active volunteer, serving a Historian of the Mission Hills Garden Club, Treasurer of the San Diego Floral Association, Associate Editor of California Garden and Vice President of the California Garden and Landscape History Society. She is a member of the Horticulture Committee of the Friends of Balboa Park and the Projects Committee of the Balboa Park Conservancy. 2014 California Garden issues with the "On the Eve" series about horticultural preparations for the 1915 Exposition in San Diego and in Balboa Park will be available for purchase at the meeting.